1. (Siksa Valli): the importance of proper recitation of the Vedic hymns according to pronunciation, intonation and modulation. While saksa, traditionally, is one of the six Vedangas: subsidiary disciplines auxiliary to the study of Vedas, the siksa concept in the Taittiriya Upanisad is, however, subjected to a 'dialectical revaluation' to give it a new meaning, a new status - in the accepted Vedantic contexts though. 2. (Brahmananda Valli): the visualization of man's place vis-à-vis the cosmic scheme. This Valli addresses, among other corners, a vital question: Do the ignorant also, after death, attain Brahman, the Supreme Reality, or only the wise (the knowers of Brahman) have the transcendental experience of this cosmic consciousness? 3. (Bhrgu Valli): the noteworthiness of the question to Supreme Reality in yet another way to conclude that in Brahman alone is centered the source of everything: Brahman alone is the Creator, the Sustainer, and the Annihilator of the universe! 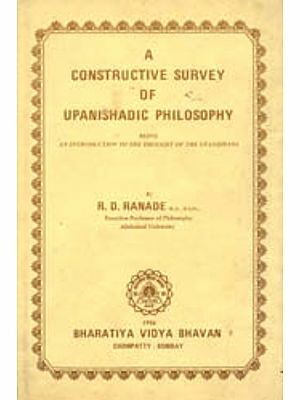 The Upanisads capture the quintessence of Indian spiritual wisdom - unfolding deep set, highly perceptive on human existence and how it is related to cosmic mystery. Authored by enlightened seers, at different times, during 1500-200 B.C., the Upanisadic message inheres neither a promise of heaven, nor scare of hell. Rather, it is a magnificent vision that raises human consciousness to sublime heights. The Tattiriya - appended to the Krsna (Black) Yajur Veda - is one of best among the principal Upanisads. And, schematically, is offered in three chapters, entitled: (1) Siksa Valli, (2) Brahmananda Valli, and (3) Bhrgu Valli - which each Swami Muni Narayana Prasad treats singly, superbly revealing the invisible thread that goes through all of them. 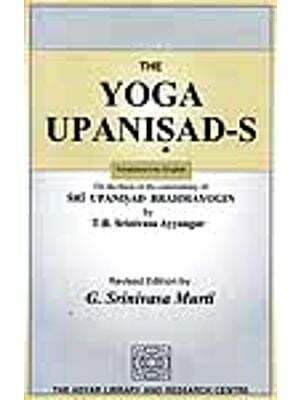 With the original Sanskrit text, its Roman transliteration and easy-to-understand English paraphrase, this stimulating, at once analytical commentary grows from Swami Muni Narayan Prasad's prolonged reflections on the Tattiriya Upanisad, coupled with the insights he acknowledges to have gained from Nataraja Guru's discourses on different Upanisadic themes, Narayana Guru's mystico-philosophical poems, and numerous sessions of intellectual interaction with different group of scholars. "Bhuh is this world, which is like a lotus in from. At the center of it stands Mount Meru, in the place of the pericarp of the lotus. On the southern side of this mountain are three continents called Bharata Varsa, Kimpurusa Varsa and Hari Varsa. (Varsa means continent). To the north of the Meru are three continents named Ramyaka Varsa, Hiranyaka Varsa and Kuru Varsa. To the east is Bhadraswa Varsa, and to the west is Ketusmala Varsa. The central continent is named Ilavrta Varsa (Ila means earth or globe). The nine continents are together are called Jambu Dvipa. (Jambu means rose-apple and dvipa means island). The Jambu Dvipa is one of hundred thousand yojanas across. (A yojana is a distance of 13-14 km.) Around the Jambu Dvipa an ocean of salt (lavana sindhu) equal in extend to the island. Around the salt ocean is an island called Plaksa Dvipa consisting of seven continents. (Plaksa means fig tree). Its areas is twice that of the salt ocean. The Plaksa Dvipa is surrounded by the Iksu Samundra, the ocean of surup (Iksu means sugar). Around the Iksu Samudra is the Salmala Dvipa (salmala means silk-cotton tree), and this island is surrounded by the Sura Samudra, the ocean of intoxicatind drink. Beyond this ocean is the Kusa Dvipa (kusa is a grass), and this region is surrounded by the Sarpi Samudra is Kraunca Dvipa (the island of herons). This island is surrounded by Dadhyarnava or the ocean of curd Around the curd in the Saka Dvipa is (saka means vegetables.) The Saka Dvipa is surrounded by the Milk Ocean (Ksirarnava). Around the milk ocean is Puskara Dvipa or the island of Blue Lotus. This island is surrounded by the ocean of pure water (Suddha Jalarnava). Each succeeding island (dvipa) is, in extent, double that of the preceding one. Each island have seven continents in it. Surrounding all these seven islands is the region called Kancana bhumi (the golden land), double the extent of the seven islands. The Kancana bhumi is surrounded by the Lokaloka Parvta, or the mountain ranges that are visible and invisible at the same time. The mountain region is surrounded by the utter darkness (andha tamas). This utter darkness is surrounded by the foetal waters, which touch the outer walls of the cosmic egg. Swami Muni Narayana Prasad is presently the Regulating Secretary of the famous Narayana Gurukula, a guru-disciple foundation set up by Nataraja Guru, the disciple-successor of Narayana Guru. He has spent three years in Fiji teaching Indian philosophy and has traveled round the world giving classes. Became a disciple of Nataraja Guru in 1960 and was initiated as a renunciate in 1984. He has been editor of the philosophical magazine, 'The Gurukulam' for twelve years and still continues to be one of its chief contributors. His published works in English include, Functional Democracy - A Failure in India; Basic Lessons of India's Wisdom; Karma and Reincarnation; Commentaries on the Katha, Kena, Mundaka, Prasna, Taittiriya and Aitareya Upanisads. The book Vedanta Sutras of Narayana Guru is in the making.